Personal Financial Planning principles that I follow ! You are here: Home / Financial Planning / My 6 Core Personal Financial Planning principles! We all follow certain principles, rules, beliefs or maxims which control or influence our behavior. We learn these principles to be correct through our own personal experiences. A ‘principle‘ is a kind of rule, belief, or idea that guides you. We generally say that a good, ethical person has a lot of principles. Even when it comes to investment planning or financial planning, most of us do follow and believe in certain principles. I strongly believe that most of us inculcate certain personal financial planning principles through real-life experiences (knowingly or unknowingly) and also based on certain real-life incidents. For example : One of my friends had incurred huge losses during 2011 stock market crash, since then his investment principle is not to touch Equities/stocks. In this post, I would like to discuss about my personal financial planning principles with you all. These are the investment principles that I have been following over the last many years and hopefully may follow for many years to come. I have inculcated these financial planning principles based on my personal real-life experiences, life events and to certain extent, based on my family members’ perception about investments. Personal Financial planning principles that I follow..
As far as Investments are concerned, I strongly believe in ‘positive power of negative thinking’. We (as a family) make sure that we are prepared for the worst first and then plan/hope for the best. I have lost my father when I was a very young boy and may be to a great extent this has influenced my way of thinking. I always think negative first, prepare for any adverse event(s) mentally. But, at the same time I put sincere efforts to overcome any challenges. When I prepare/plan for the worst, I am actually planning for something negative that may or may not happen. When I hope for the best, it instills a positive feeling in me. May be because of this attitude, I have taken adequate life insurance, health insurance, personal accident insurance cover and home insurance covers, long-time back. I always give high priority to protect what I (we) have first. I follow this principle when I plan for my Emergency Fund too. We maintain adequate ‘rainy day fund’, to meet any unforeseen expenses. 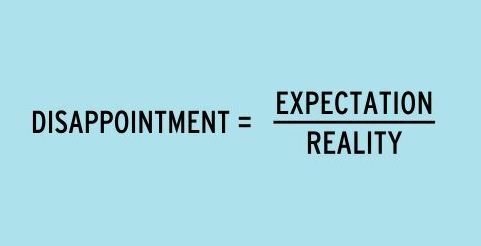 My wife keeps saying to me that whenever I expect any income/profit, I expect a lower figure and whenever I had to pay for something or meet any expenses, I plan for a higher amount. I follow goal-based investment approach. I set a goal amount which is more than adequate, with a clear time-frame and with a realistic rate of return. I do not know whether ‘Red Bull’ can give us Wings or not, but surely believe that ‘saving more and investing in right avenues’ can give us the Wings to fly (freedom). So, say ‘More’ to Savings -> Say WINGS! My Wife often says to me that we are always in investment/savings mode, never in expenses mode. I reply to her, ‘let’s save and invest as much as possible NOW & as early as possible!’ But, we are not making any major sacrifices – we just Invest as much as we comfortably can. We live a content and comfortable life but not a luxury life. We invest more when markets fall, we stick to our conviction, as much as possible, we do not alter our long-term investment plans based on ‘market-slump’. As opined in the above points, I assume realistic returns on my investments. My portfolio primarily comprises Equity Mutual Funds and Real-estate investments (land, residential and commercial buildings and not Flats). For example: From Balanced Equity funds, I expect around 10% over a period of 5+ years and on Equity funds, around 12% over a period of 10+ years, anything above is a bonus! From my real-estate investments, I am not really worried about capital appreciation, as I am expecting only rental income from them, so my expectation on Rental yield is around 4 to 6% on my property investments. I review my Mutual fund portfolio‘s performance once in 6 months, and give higher importance to my overall portfolio returns than to individual fund returns. If my portfolio total returns are in-line with my expectations, I make sure to track the low performers once in 1-3 years and then take the decision to churn the portfolio (if required). There were times when I had unrealistic expectations from equity markets and burnt my fingers, realized that its almost impossible to make quick money! We invest in a Time Deposit (Fixed Deposit) and wait for 365 days to get 8% returns. So, why not implement the same strategy with respect to stock markets. I was a salaried individual till 2009, was happy with my salary, but always used to feel this is not my cup of tea (due to low job satisfaction), often used to feel that I need to do more meaningful work. In 2009-10, decided to give more importance to LIFE PLANNING than CAREER PLANNING! I have been doing what I like to do, the work which gives me more job satisfaction and of-course the MONEY as well! We have been aiming for two steady income streams, active as well as passive incomes. I get Advertisement revenues (active income) from my blogging work and have been planning to achieve the same quantum of money through my real-estate investments. Glad to inform that we will soon be going to achieve it! 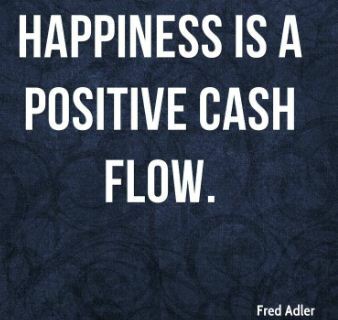 My spouse and myself, we both know the exact cash inflows and cash out-flows every month (planned ones). This helps us to save, invest and plan well. Whenever there is a major life event happens, we maintain an Expense book to track our family’s expenses. For example : After getting married, we tracked our living expenses for one full year. Recently, after relocating from Bengaluru to my home-town in Andhra Pradesh, we tracked our living expenses for 6 months, to know the difference in cost of living in Bangalore Vs my home-town (it’s a small town). The only ‘Credit’ I have is ‘Credit Card balance’. I use credit card (have only one card) to pay all my utility bills. But, we make sure to pay entire outstanding balance every month, well before the due date and there has been no late payment or defaults since 2004. I check my credit report once in a year. 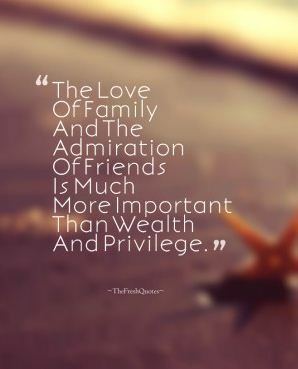 For me, family always comes first! They have been supporting me in whatever I do and its my responsibility to earn, save and invest adequately for their well-being (financially & non-financially). I make sure to discuss about these investment principles very often and also share all the investment details with my family members. In fact, all the major investment decisions are taken together. Now that you know my personal financial planning principles, it’s time to share yours! Kindly share the investment principles that you follow. Cheers! Nice Article on the personal financial planning. All points are informative but the point “Think Negative First” is the best. Everything is clear within a single line is “Positive power of negative thinking”. Wow. Nice Article!! I like your way of work. please guide me how I associate with you for future benefits. Dear Haresh ..You may kindly reach me through Contact-us page..
I’ve been following your blog. Your posts are fantastic and resonated. I thought it was something my audience would appreciate, so I shared it with my social media and email subscribers. I need to focus on savings, as I am weak on investment parts. Thanks for sharing such a nice article for our benefit. Thanks for sharing such a valuable information with readers. It broadens my views on financial planning as well as the value of money. Holds’ 2 credit card : 150000 credit balance per month. in case of an emergency too. My monthly expenses comes around 15000 per month including rent and everything. As of now im yet to marry , and there is not much goals to accomplish currently. May be i will get married in 2 years. So my current goal is maximum wealth creation. In 2018 , im planning to continue invest in ELSS (around 120000 as SIP of 10000 each month). 1) Do i need to change from Franklin to any other fund for ELSS? I dont see any chances of redeeming my Liquid funds soon. Please suggest me exact investment type for this. 1 – You may continue with Franklin ELSS. (This fund has lower risk and moderate returns profile when compared to other popular ELSS funds). Considering your profile, in case you would like to take a little higher risk, can consider to add one more ELSS fund ie Birla Taxrelief ’96 fund. This fund has allocation of around 50% to mid-cap stocks. 2 – You may consider Ultra short term debt fund or Arbitrage fund. The gains on arbitrage fund if held for >1 year are tax-free. I really find it aligned to my point of view where you mentioned regarding multiple income streams, specifically where you mentioned regarding passive income sources. It would have been more enjoyable if you could provide more real life examples. Personally, I get passive income from my property investments through rentals! Are you suggesting me to write about – ways to get passive income?? Do let me know! You always inspire with your blogs , this is one of your articles has lot of information for personal finance planning. And i would like to ask your experience moving to remote town in andhra from bangalore ? how is that experience ? We had to relocate due to personal reasons. As, I am into full-time blogging, which can be done from anywhere (just need a comp with net connection), no big difference in terms of career or my earnings. However, our family’s living expenses have come down significantly in the last 2 years, since we relocated. The main challenging factor is – lack of quality education for my kid. As my spouse is a well educated person, putting her best efforts to assist him…. I’m very happy that you moved back to your home town. I read some of your blogs. Thank you very much for all your efforts. I’ve a plan to move back to my hometown to pursue business dream. I’m in USA for last 5 years. Can you please share your contact to my email?. I want to have chat with you. Dear PG .. Kindly reach me through the Contact page..
One of the toughest things to do is save and invest more. Good point brought forward. Ideally we are all occupied with our monthly commitments and never ending expenses. Thank you for your awesome articles and i read them regularly. I need your advice. I have these funds in my portfolio for long term and investing via SIPs since last few years. Do you think they are ok or some change needed? Both are ultra-short term debt funds. Kindly note that these can be riskier than Liquid funds. What are different types of Debt funds? Mutual funds like stocks are a part of the equity of promoter.the buyer is buying the debt part of the company.the promoter for example a company of 100 will have 10 rupees equity and 90 rupees debt,the promoter after making huge profits devides his 10 to a million shares and. Exit.this million shares are again devided into 100 million shares in mutual funds, so we buying just liability of companies. No profit forget everything. Our decision to relocate to home-town was purely based on personal reasons and not based on money/cost of living (in case you are assuming so…). In our case, in terms of opportunities, glad to inform you that we have status-quo (nothing to lose) ! No debt.no stress = no growth, stress and debt are like fire, without”fire” you can’t cook! How well you control and use debt and stress to your advantage is life! People have been using “fire” debt” stress”to their advantage and leading a better life! I believe that GROWTH can be achieved without acquiring any DEBT too. In my experience, I have seen good number of people who are unable to manage/control their debts and leading a stressful life. EMI`s should not drive your life ! Bigger risk has bigger loss and gains,so play medium not to high not to low. i hv just supported your views against that aggressive guy. Dear IJ..Yes, I get your point, thank you for sharing your views. Please suggest my emergency fund 5 to 8 lakh where i can put at least looking between 9 to 10 percent return for 1.5 to 2 year duration from here. Please dont recommend any particular article or pool of funds because i m looking for 1 or 2 funds recommendation from you sir. Mine one friend is invested any ICICI PRU divended monthly option schemes Nav around that fund nearly 24.32 rs. What about your views on this because he invested 1cr in last month and getting l lakh rs dividend every month. Are you planning to accumulate your emergency fund? (or) Are you planning to re-invest the accumulated emergency fund in some other investment avenues? I have in few ultrashort and few amount in FDs but not sure now where to use but looking for safe return 9to 10 percent. It could be used in after 2-3 years in home purchase down payment. please also reply about my friends investment also because he was saying it is very safe fund to get more than 12% monthly. In the current interest rate scenario, to get around 10% safe return in 2 years, it is next to impossible. You may continue with Ultrashort term / short term funds. You may also have a look at Arbitrage funds. What is the scheme name where your friend has invested in?? that is Icici prudential balanced fund (MD). Wanted to know your analysis for this and safety.? Is any fund much better and secure in this category .please know? It is an equity oriented balanced fund, can be a very risky bet, for a time-frame of 2 years. Kindly note that returns are not guaranteed on Mutual funds. Your friend’s assumption that ‘they are very safe’ is incorrect. so any body buys a mutual fund should know what exactly he is buying! the point is the buyer is buying a one millionth of a company and hundred million price! so mutual funds are never meant to be profitable! Dear sureendra ..Thank you for sharing your views. But I believe that investing in MFs is one of the best ways to accumulate wealth over long-term. I have great conviction that my principles are useful to me/my family. However, these may or may not be applicable/relevant to your finances, appreciate your opinion though. 1) What do you mean by – ‘in present economics at young age you are supposed to take debt and risk ‘? 2) Why do you think my principles are useless and brainless? Thanks for your articles. I have been reading your blog and it is very helpful. I would like to purchase a home in Hyderabad for budget of 40-50L. I would like to do it after 2-3 years by investing some amount in Mutual funds in every month to build corpus for down payment. My friends suggest to buy now with 10%down payment and remain 90% as loan, which I am not really convinced. Can you suggest what can be done? May I know if you are saving/investing adequately for your other high priority financial goals? If you acquire your home loan now, will you be able to maintain your savings rate? If your investment horizon is around 3years, suggest you not to invest in Equity oriented funds, you may consider Short term debt funds or Conservative MIP Funds. Hi Sreekanth, Recently I have lost my job due to market competition & company is about to close the business. I have term insurance of 50 L & premium is due in Sept. Should I continue to pay the premium or shall stop?. Also I am thinking of Intra-day trading, can I able to get some income from it?untill I find the next job.. I have 2 children & wife has a job. Pl suggest. At any cost, kindly try paying your term insurance premium. It can just be a temporary challenge, your financial position can improve soon..! Suggest you not to venture into intra-day-trading..
Do you maintain an Emergency fund? Dear Sree, I like the ‘personal’ touch about your articles! That makes your blog stand apart and interesting to read. Please keep on bringing them, a ‘personal’ opinion! I’m sad to know you lost your father in young age. I also lost my father 5yr ago and everything’s on me now. He didn’t made any house, instead he saved & invested money. I bought a flat with home loan of 12 lakhs @ 9%, I do prepay the home loan by 50k every 3-4 month from my FDs interest & monthly savings. I believe in debt free life so that I don’t have to compulsorily do a job under anyone. I’m unmarried 28 male, with plan to marry by 30. Is this correct way? Or should I invest the amount and let the EMI continue? Another thing is I’ve not taken any life insurance as I’ve 30 lakhs FDs which I inherited from my father. My theory is that why pay for premium when I have that much amount in cash with me which my family will get after my death. Although I’ve adequate PA insurance coverage so that I can get money if I survive any major accident. Is this theory correct? I’ve some MF investments and wish to put those 50Ks after loan closure as SIP in MFs. Thank you for the appreciation and following my blog posts! I believe that investing in appropriate investment options instead of pre-paying your home loan can be a better and prudent option. Because, you can afford to take high risk, save and invest more now…so, you may re-thing and re-assess your strategy. If you do not have any dependent, you may postpone buying a term insurance cover, but it is required. Kindly read : If life is unpredictable, insurance cant be optional! Dear Sree, thanks for your quick answer. What are the investment avenues will you suggest based on the info given above in my case? I’m planning to start investing in stock market this year with small amount. Your articles (or a series of them) can be really helpful for many of us. Starting with some basics along with some methodologies you follow for picking stocks or creating/maintaining your stock portfolio. You’ve a good way of explaining things. I’m also curious on your learning curve about stocks, how your started and how you reached the position you’re in today. How your mentality changed from beginner as you matured in this avenue. Kindly note that I do not invest in Stocks (do not own any stock) and do not provide suggestions too. You may consider Equity funds as one of the investment avenues. Very good article. I dont know what prompted you to share your principles. But they are all valid and valued principles. Both are motivating quotes for today’s majority of youth who prefer Iphones at EMIs rather than save and purchase. “No debt + no stress = Better life”. This is also my experience after closing all the loans with my voluntary retirement benefits. Overall, my compliments to you on realisation of all these principles at a younger age unlike me who realised my investment mistakes (committed by me during my service) only after my voluntary retirement. Of course, as you said, “Access’to different financial products has also improved tremendously over the last few years”. I cleared my CFP recently. I am a regular follower of your blog (before and after CFP). My Good Wishes to you and keep up the good work. Thank you dear Venugopal ji. Sir , Awesome article ! Read it twice ! Really a great inspiration ! Thank you dear Prem. Glad you like this post! I would like to follow the same principles as yours.. But, when we get housing loan and EMI rather rent, it’s an advantage. so this type of loan is good na???? Rent Vs EMI (Buy) is a never ending debate, advantage or disadvantage? – can be dependent on many factors. Thanks for sharing sincerely your investment strategy . I echo your thoughts and investment plans. I believe in your thoughts and following on similar lines, however needs to work on passive income streams. It’s great and one can follow this strategy for long time survival and better life. Dear Shravan..Thank you for endorsing my views. With a little bit of planning, anything can be achievable. All the very best! I am 66, follow your blog regularly and am motivated by your focus at such an young age. Dear Ramaswamy ji.. Thank you for your appreciation! Wonderful article. Thanks for sharing your financial principles. Just curios, what is the difference in cost of living of Bangalore and a small town in AP. I am from AP, so want know. It depends on ones lifestyle… We are seeing a difference of around 30 to 40% in our monthly living expenses. Major diff in expenses like Transportation, recreation, food, school fees etc.. Very good article, life itself teach us many things. Learn to be money wise, don’t be greedy. Yes, rightly said dear Narayana ! Live within our means should be the motto! Thank you dear Prakash. Keep visiting ReLakhs! Hey Sreekanth, the above made a very interesting reading and loved the quotes that accompanied your principles & values in the areas of finance and Investments. While I share many of your theories, due to exposure and primarily belonging to a different generation, I have not been as successful in my endeavor in this aspect. You will agree with me that this topic of finance & savings/investments has gained so much momentum in the last decade or so only. Not to say that previously people never saved, but a sense of competitiveness has attached itself to this area of our life in the recent years. I am happy about it as it fits me personally to a T.
While personally I am a low key person, very contended (Lazy my family says). I am cautious and watchful. I have made some decent savings in the last 10 years. There have been hits and misses definitely. The big miss from my portfolio is a Life Insurance for both me and my husband He is 55 and I am 50. I got the concept of term insurance only recently by then it looked like a big outflow hence still absent from our portfolio. While I definitely could have done more with a freedom given to me by my husband, my extra cautious nature has made my portfolio lean towards debt. Now as we are approaching retirement, I feel I could have explored equities (stocks & shares) more much earlier, had the money & time. I had made a few good calls too and had tremendous aptitude for it (Still do). Let’s also note the fact that ‘Access’ to different financial products has also improved tremendously over the last few years. If you (family) are happy with the way you have managed or manage your finances, that’s more than enough..Personal Finance is more personal than it is finance.. I am a long time follower of your blog, this will be an eyeopener for us in many aspects. Thank you for being a loyal reader! Cheers!